Ok. I know this is rather geeky, but I needed to check that the stuff I plan to take with me would actually pack into the luggage I was planning on taking. 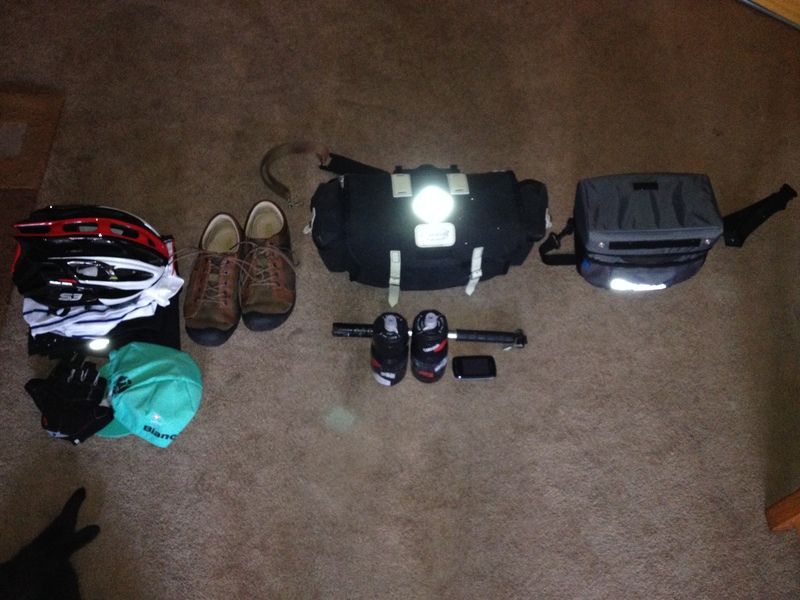 If it hadn’t I be looking at taking the rack of Amy’s bike and using panniers. Faff basically. Here’s the geeky bit, I took photos. As you can see, it all packed down rather neatly in the end. 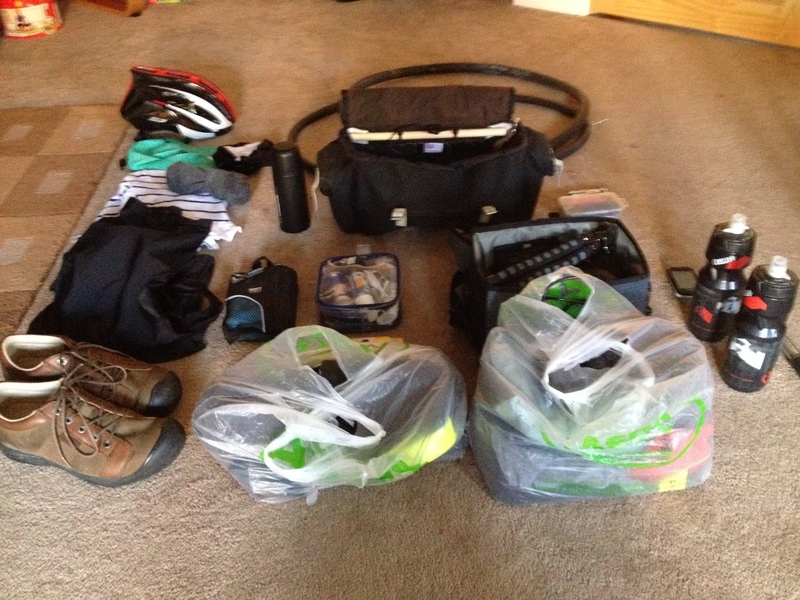 The bar bag weighed 2.5kg and the saddle bag 5kg. 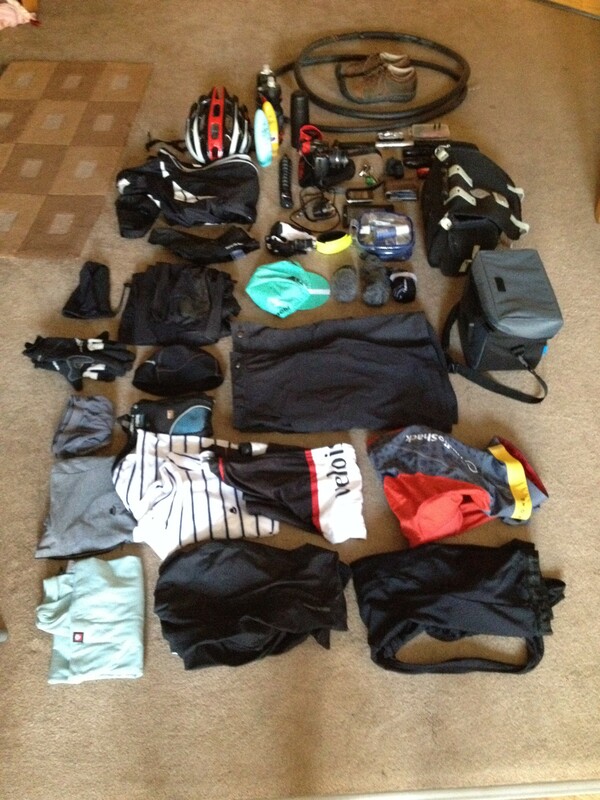 Add water, food and a bike lock to that and it’ll probably be around 10kg, something like 3kg less than I took last time I did a short tour. Not geeky at all- geeky is weighing everything and then entering the results in a spreadsheet so you can try different permutations… like I do! !